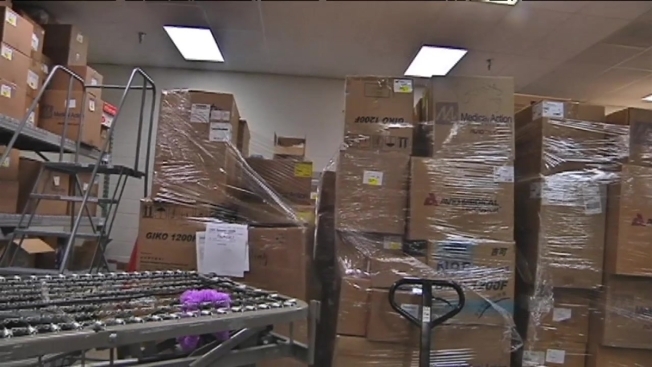 Tonight thousands of pounds of medical and other supplies from Merrifield, Virginia, are bound for Sierra Leone to help the battle against Ebola. Mattresses, syringes, latex gloves and a host of other medical equipment has been collected through the Brother's Brother Foundation. The supplies are gleaned from area hospitals and businesses. Thomas "Bobby" Smith and Malik Jalloh with Hope for Lives in Sierra Leone know first-hand how effective relief efforts like this making an impact. Luke Hingson with the Brother's Brother Foundation says many of their recent shipments have been re-routed to Sierra Leone to help fight the Ebola outbreak.